OSWEGO – A select group of nearly 40 alumni of SUNY Oswego’s art programs, from recent graduates to those who studied in decades past, will offer a free, eclectic exhibition of their work beginning Sept. 7, at the college’s Tyler Art Gallery. The “Oswego Art Alums” exhibition will open with a reception from 5 to 7 p.m. on Sept. 7, and many of the artists have said they will attend. The exhibition runs through Oct. 6 in Tyler’s north gallery. Michael Flanagan, the gallery’s assistant director, said the artists, nominated by current and former art faculty, would show that art can be a life-enriching, long-term endeavor. 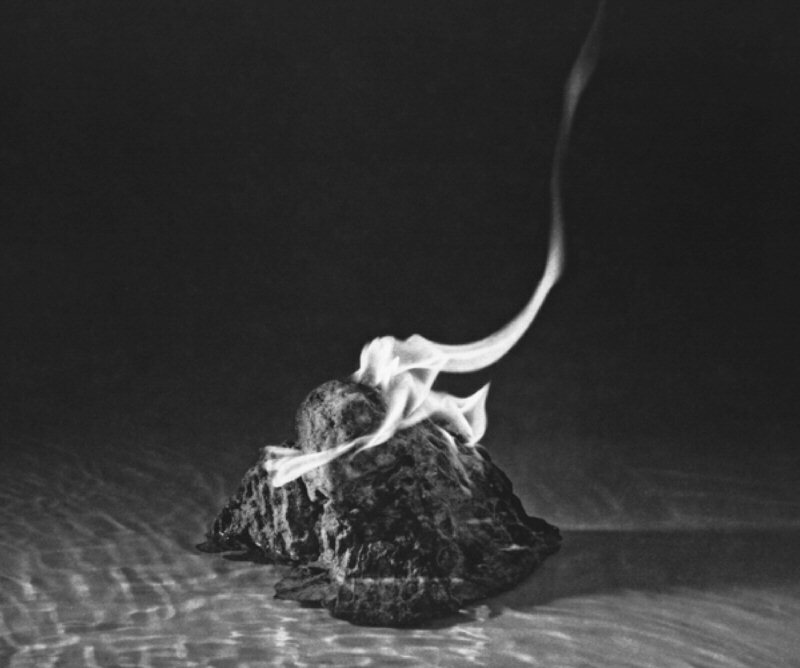 For example, the photographs of participating alumna Bernice Ficek-Swenson, a professor of art at the University of Wisconsin-River Falls, explore “elemental forces of nature, photographing still life materials of stone, ash, cremated hones and, most recently, water,” Ficek-Swenson said. These elements imply a metaphor of deep geologic time, belong to “our collective unconscious” and “convey a deep spiritual connection to earth,” the 1977 master of arts alumna wrote in an artist’s statement. “In the series I am currently working on, ‘The Promise of Water,’ I’m exploring metaphors of purity/purification, water as a venerated source,” Ficek-Swenson said. Tyler Art Gallery will be open for this and a companion exhibition, “Hannah Claus: In/Tangible Presence,” 11:30 a.m. to 3 p.m. Tuesdays through Saturdays starting Sept. 7. For more information, contact the gallery at 312-2112. SUNY Oswego’s art department, accredited by the National Association of Schools of Art and Design, offers programs in studio art, drawing, design, illustration, painting, photography, printmaking, ceramics, sculpture and graphic design, as well as tracks in art history and graphic-design disciplines such as Web and multimedia design. Graduate programs feature studio art or graphic design emphases.